This seems like the perfect post to write on a Friday – always the best night to indulge in a glass of prosecco after a busy week. It would be nice if the sun was shining too but hey, we can’t have it all. 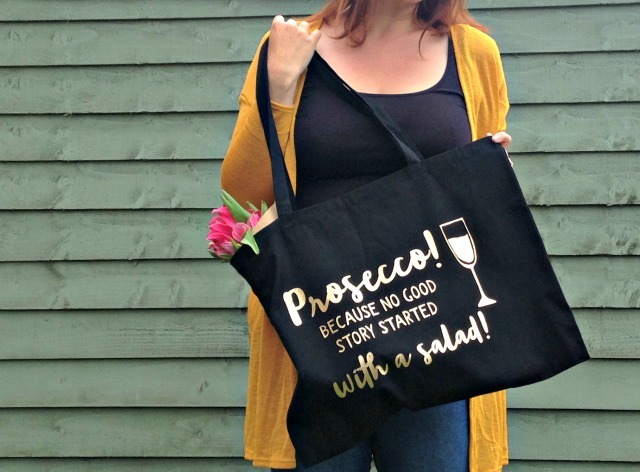 I was recently sent this fantastic Prosecco tote shopper bag from Coconutgrass and it always makes me smile when I see it. 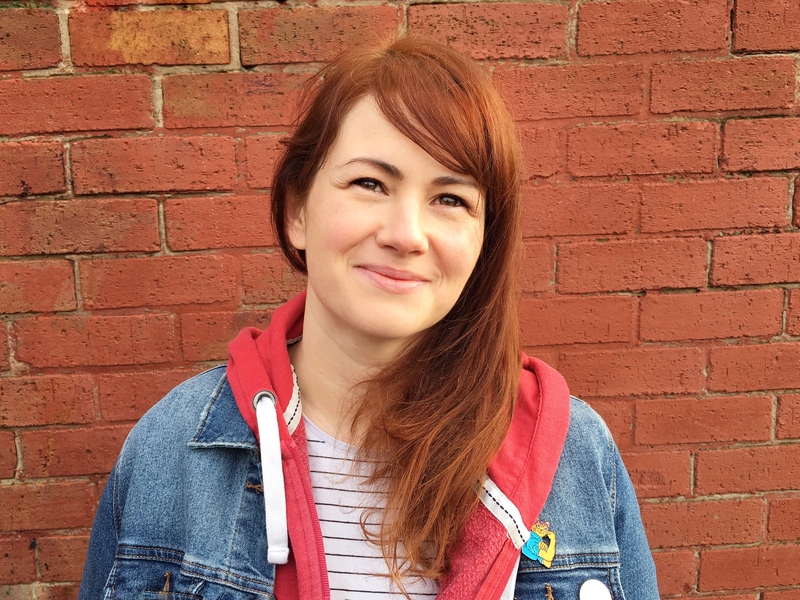 I was asked to have a look around their website and see if anything caught my eye and as much choice as I had this was what I kept coming back to. This is no ordinary reusable bag! 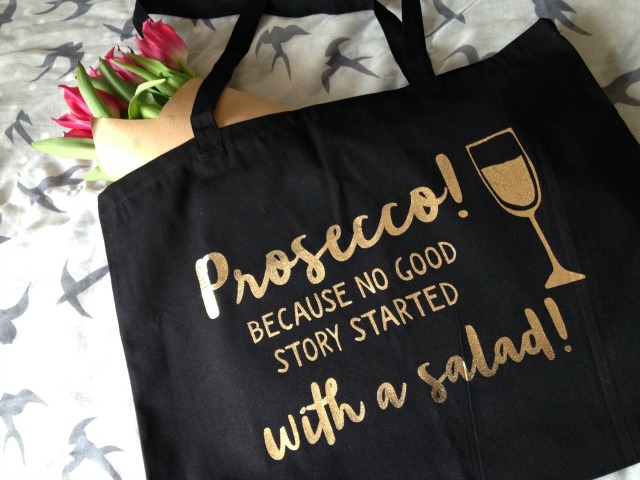 Firstly, is has the best quote on it, ‘Prosecco because no good story started with a salad’ and secondly, it’s made from a strong black cotton, screen printed and hand pressed with gold foil. It’s way too stylish to be reduced to being put in the Aldi trolley each week. It has gone straight into my collection of fancy tote bags, the ones I keep for special occasions rather than the ones I have in the car ready for the supermarket. When I say special occasions I actually mean in place of a handbag; as I frequently have things spread all over the house, in pockets, in little people’s rucksacks, I tend to just scoop in all up and throw it in a shopper bag before I head out the door. They are actually easier for me to carry around or hook on the buggy and I can find everything fairly quickly. They are perfect for when I decide that I actually don’t want to eat healthy that evening and must have chocolate and/or wine so make a quick dart into the Sainsbury’s local on the walk home from school. The slogan on the bag just backs up my emergency purchases and it is an easy way to brighten someones day – it always raises a smile when I pop it down at the checkout! I can honestly say that I have no desire to return to the humble plastic carrier bag when the environmentally-friendly version is as lovely as this bag and is also big enough for all the pretty flowers and bottles of prosecco that a girl could wish for. Coconutgrass is a new, home design company that have the most lovely, affordable products for the home as well as personalised gifts. I’ve been eyeing up a few of their G&T items for my Mum who I know would appreciate them. 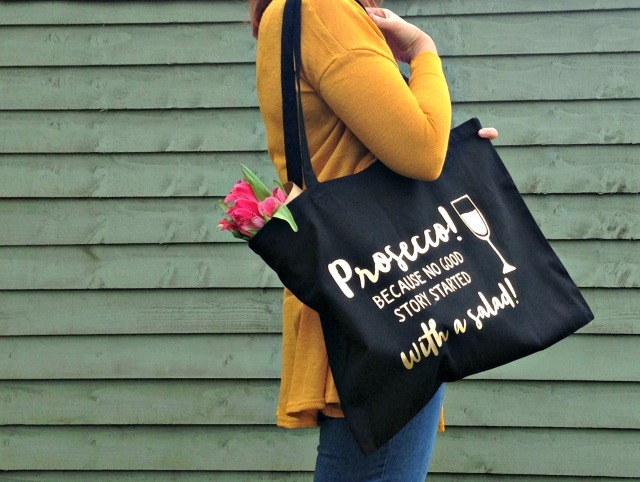 Their website is full of really cute items for men and women but I think if you know someone who loves prosecco, or gin and tonic you will definitely find them that special gift! Go and check them out. Haha love this!! I always always forget to take any kind of carrier bag with me to the shops and only remember when I’m at the till. I have about a hundred bags for life from different places. I really need to invest in a nice one!